I like folklore, and I like novels based on folklore, and I was prepared to like C.J. Cherryh‘s Rusalka, especially after seeing it reviewed elsewhere. It did hold my attention long enough that I was able to finish it, but in the end I had to admit that I didn’t like it. First gripe: the endless and tedious scenes of Pyetr, Sasha, and Uulamets wandering around in the woods acting like jerks to one another. Pages upon pages of one of the characters musing about what morons the other two are. 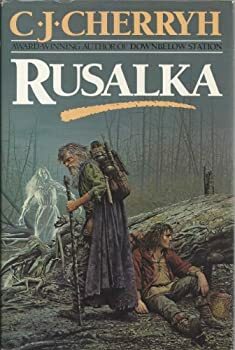 The use of the word “woodcraft” on what seems like every page, as Sasha or Pyetr admires Uulamets’ skill in navigating the forest. It begins to feel like we are reading the same chapter over and over after a while.